Listed in the large chapter category with 2,100 active members. February 13th, 2019 from 8:30am - 3:30pm  at the Hyatt Regency Orlando. 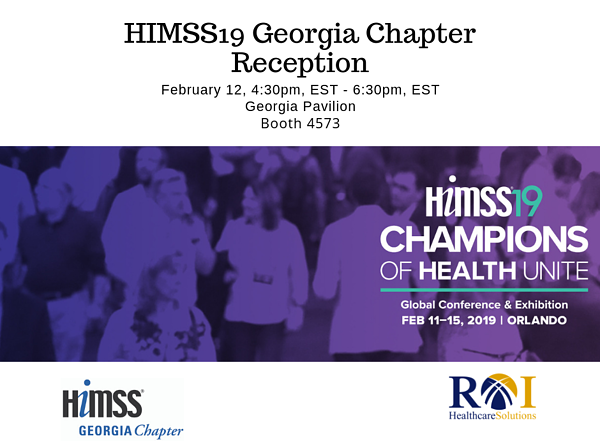 Held in conjunction with the 2019 HIMSS Global Conference and Exhibition. The HIMSS19 Career Fair is a centralized location for recruiters, job seekers, consultants and others who contribute to the development of the health information and technology workforce. 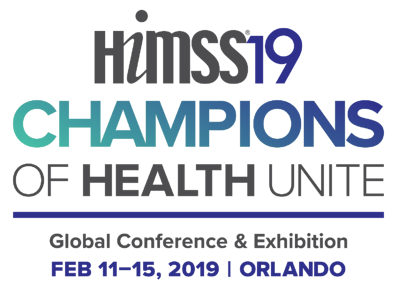 To learn more about HIMSS19 and see our list of Conference exhibitors click here. Every two months, GA HIMSS hosts information sessions/presentations of the hottest healthcare IT topics by industry experts. Deadline February 15th. Since 2016, 16 scholarships have been awarded, totaling $48,000. www.himss.org/policy, and subscribe to the free weekly Health IT Policy Update e-newsletter. May 16th & 17th, 2019 At the Distinguished Lake Lanier Islands. Fun Fact #7: Want to Volunteer to Serve on a Committee?